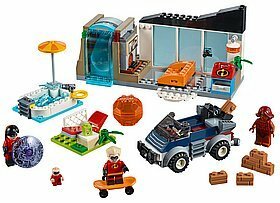 LEGO® Juniors | Outer Rim Trading Co. - flat rate shipping Australia wide. LEGO® Juniors sets are specially designed for younger children who are eager to build more complex models. These easy to build sets deliver a smooth transition from building with LEGO DUPLO® bricks to LEGO bricks.